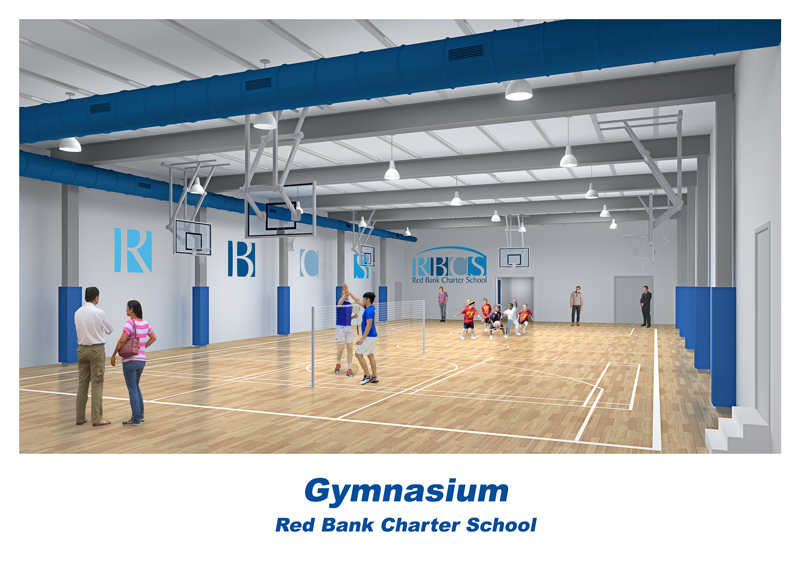 AUG 3, 2017 - The Red Bank Charter School received approval from the borough to create a recreational space in a building it plans to purchase at 135 Monmouth Street, directly behind the existing school. The borough’s Zoning Board of Adjustment voted unanimously Thursday, Aug. 3, to grant variances required to turn the former warehouse into a recreational space for the school, which has 200 students in grades pre-K through 8. Pennotti said the school has been forced to rent recreational space at other facilities in the Red Bank area for extracurricular activities, such as basketball games and student performances. RBCS is under contract to purchase the building for $1.7 million. The building was recently appraised for $1.9 million. RCBS will pay for the building from a combination of operating income, a mortgage, revenues from spaces leased to existing tenants in the buildings, and savings from not having to rent outside facilities. RBCS also plans a robust fundraising campaign with the help of its foundation and CCO to cover the cost of renovations. RBCS currently leases space in the building for its Science, Technology, Engineering and Math (STEM) lab. The building has potential to create space for an art room and a performing arts space. The variances to turn the warehouse into a gym will be official when the zoning board adopts a resolution memorializing its Thursday vote. Pennotti said families were asked at the beginning of the year their thoughts about what RCBS needed most and the consensus was the school needed additional space, particularly a gym. Founded in 1997 as one of the first charter schools in the state, RBCS has been and continues to be an ethnically and racially integrated preK-8 school with 200 students and families. RCBS’s has a lengthy waiting list, evidence of the community’s interest in having a charter school option.